This top 10 looks at those cars that really break the mould – or choke it, rather, because of their incongruously high VED ratings. All these cars spit out an abnormally large amount of carbon dioxide relative to the cars in their class. With each car we’ve also given an example of something else with the very same CO2 emissions, for reference – something that the tax man views as equally gas-guzzling. You’ll be surprised. 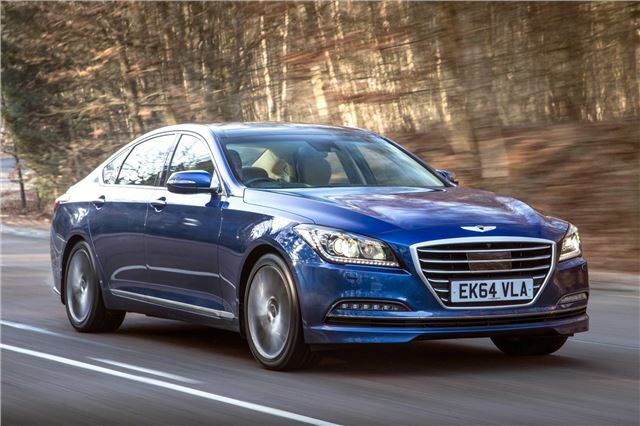 Nothing about the Hyundai Genesis makes much sense on paper, but particularly its CO2 rating, which puts the car in the very most evil tax band, M (for malevolent, presumably). That means it has a first year VED rate of £1,090 and £505 thereafter. Ladies and gentlemen, from the company that brings you the i10, here’s a saloon that’s less environmentally friendly than a BMW X5M V8. Back to the drawing board. Scrap it. No one will buy it or be able to sell it so whats the point. To be fair, do these far eastern manufacturers know from one budget to the next what our loony governments are doing regarding VED? The VED will only be £65.00 more than most cars from next year. Agree no one will buy a brand new one from next April - See what the VED will be on the first year. ! Who buys a new Jimny. Plenty of second hand ones around with low mileage. Very capable car/van. Local trips/dogs in back etc.Easy clean interior. The Jimny. Quite a wee classic. I think. One of the cars I've always wanted but was afraid to buy (as they had the same Euro NCAP safety rating as an unopened packet of pickled onion flavoured crisps). A mate of mine in the Scottish borders had one at the time of the big freeze of 2010. He said it was so light and grippy, it would get through places where his mate's Toyota Land Cruiser got stuck. He even hopped across a snowy field in his Jimny to avoid a blocked road. Didn't know you could still get them.